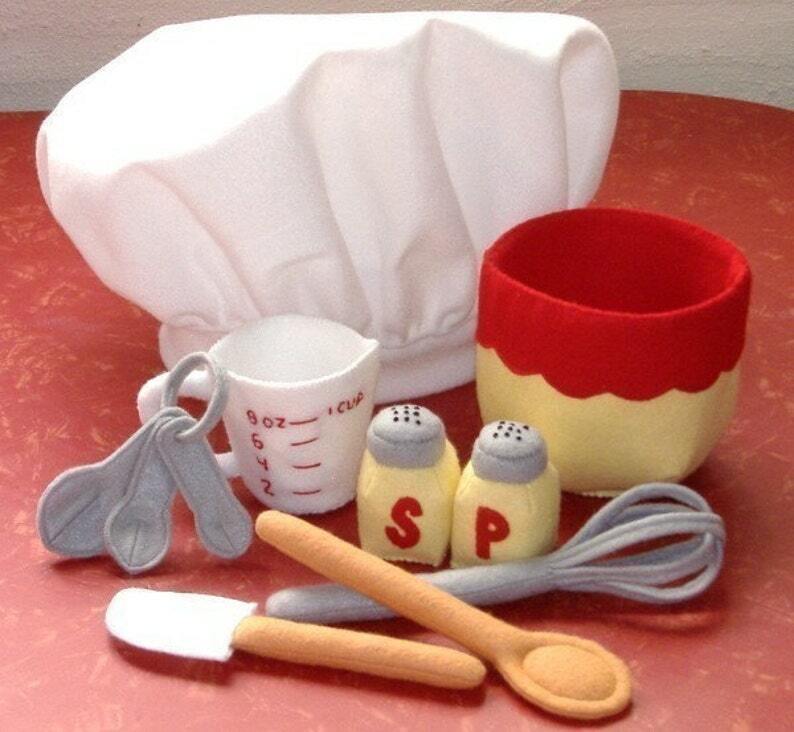 Is your little chef ready to mix it up? This pattern has all the supplies needed to stir up something tasty! A stylish mixing bowl, measuring cup and measuring spoons- so they can follow their recipe to a "T". Salt & pepper shakers, rubber spatula, wooden spoon and a whisk. And you cannot forget the best part- the chef hat! When finished hat will fit approx children 4 and up. Instructions and patterns were easy to follow and the finished product was perfect.